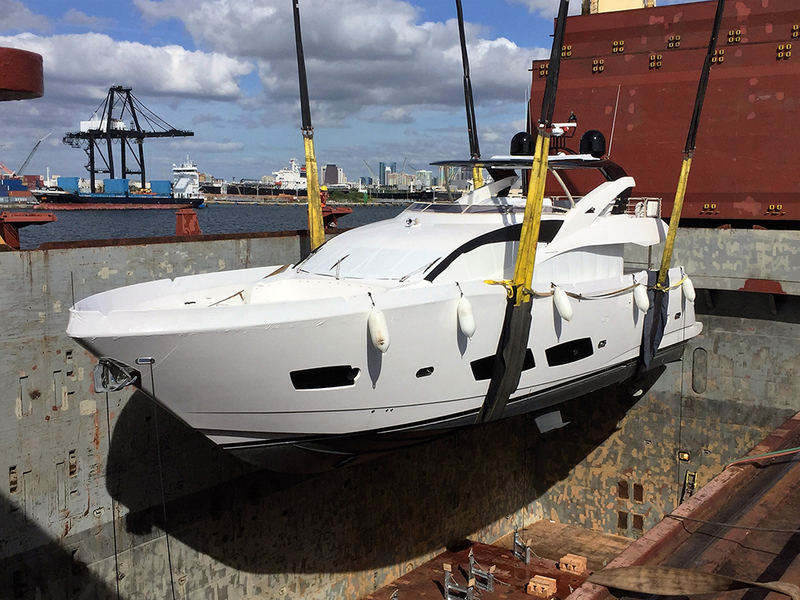 provides worldwide boat and yacht transportation services to any global destination. The first and most experienced ISO accredited boat and yacht transporter. As a leader in the marine transport, WeShipBoats is the first choice for many of the world’s leading names in the marine industry including manufacturers, race teams and super yachts, as well as individual boat and yacht owners. Being an independent service provider means WeShipBoats sources the best routes, through the best carriers, for the best prices. Throughout the last 35 years, WeShipBoats has provided Boat and Yacht transportation solutions to many satisfied worldwide customers. WeShipBoats has a network of global offices with dedicated marine staff ready to provide seamless boat and yacht logistics on time, within budget and beyond expectations. Our team at WeShipBoats understands the unique requirements of boat and yacht owners. 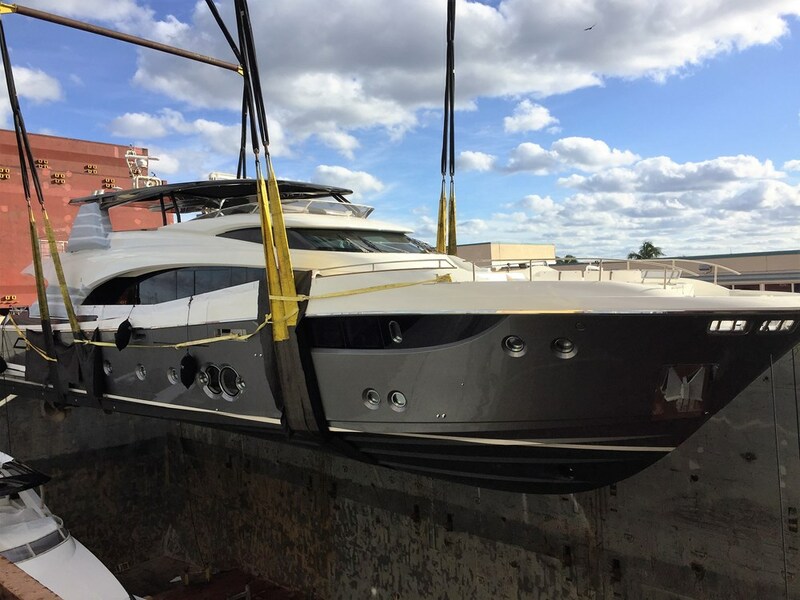 Our professional and highly skilled staff takes great pride in making WeShipBoats a leader in the worldwide boat and yacht transportation industry. 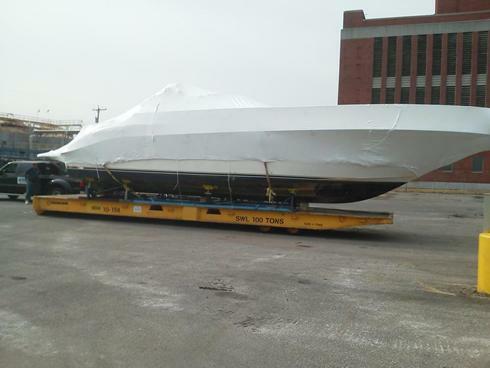 WeShipBoats handles all facets of boat and yacht transportation internationally, on all traditional and special equipment including flat racks, open top containers, and enclosed containers. 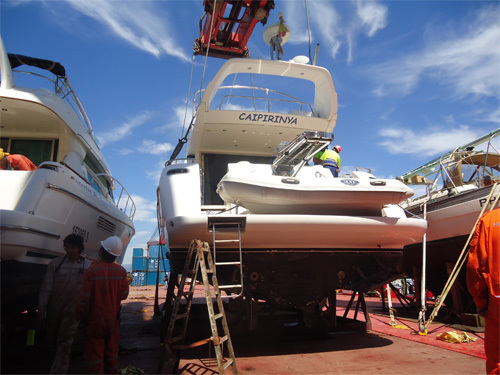 WeShipBoats can load your boat or yacht from the water or from a pier to the vessel, and offers Roll on and Roll off services to most international destinations. Over the last 35 years, WeShipBoats has emerged as the leading boat and yacht shipping partner in the world. We developed a quick and easy system to handle your boat and yacht needs internationally. 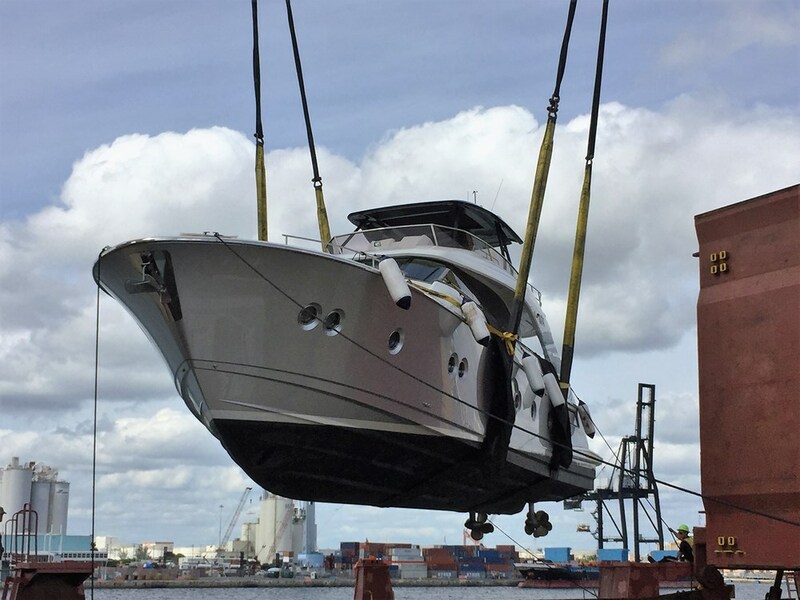 From the initial rate quote stage to the proper handling and shipping of your boat or yacht, WeShipBoats has the expertise and the proven network of resources to safely transport your boat worldwide. Whether it is a Yamaha Wave runner or a Sunseeker Majestic 155’ Yacht, we can help you ship it around the world. 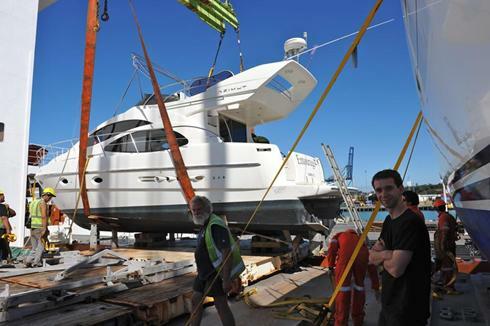 On a cradle or on trailer, Shrink-wrapped or Strapped, WeShipBoats can secure the transport of your boat or yacht. We have the most updated marine equipment inventory listings of all boats manufactured in the world. We know all brands and models, dimensions and equipment required for transporting your shipment safely. 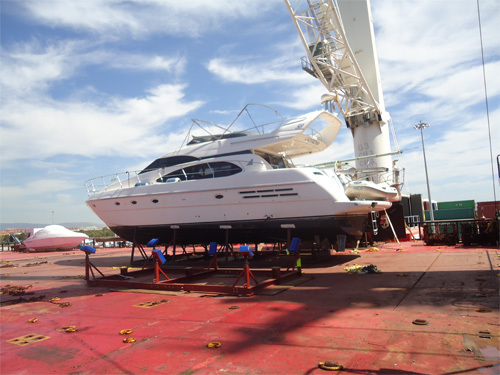 WeShipBoats offers you the best boat and yacht transportation solutions. We organize everything from pick up to delivery, including all licenses, permits, surveys, consular legalization, cradle fabrication, shrink wrap, and insurance coverage from point of origin to point of destination, always perfect customer services, accurate documentation and a reliable network of agents. I have used WeShipBoats.com to send my and many of my friend’s boats to the Philippines. I have always found them to be the most economical, reliable company I could have chosen. I have never had a bad experience to this date. I can’t thank WeShipBoats.com more for helping me step by step to receive my boat from Florida to Tahiti. I will continue to use their services for any future boats I will need for my snorkeling business here! Thank you for your patience! I have been using WeShipBoats to ship boats from the U.S. for my growing boat sales business for the past three years. I am very happy with all the service Weship offers from assisting with my purchases at different boat auctions in the U.S. to helping with all necessary documents for customs once my boat has arrived. Weshipboats.com helped me in every step of my boat shipment process from picking up my boat where I purchased it in Key West, FL to receiving it at the port in Le Havre, France. I am very happy with choosing Weship. I could not have asked for a better, more economical service. WeShipBoats did a perfect professional job in my opinion. I told them where the boat was stored and they did the rest, from building a cradle, picking up in Palm Beach Gardens, transfer to Miami, "winterizing" the boat and engine (in Europe is winter), sending it to Europe, and arrival in Triest.